The Chief Sergeant of the Marine Corps of the Soviet Black Sea Fleet A. Anikin. The Marine is armed with anti-personnel grenades RGD-33 (hand grenade Dyakonov) and 7.62-mm TT pistol (Tula Tokarev). A. Anikin is wrapped in cartridge belts from Maxima’s machine gun with 7.62 mm caliber cartridges. 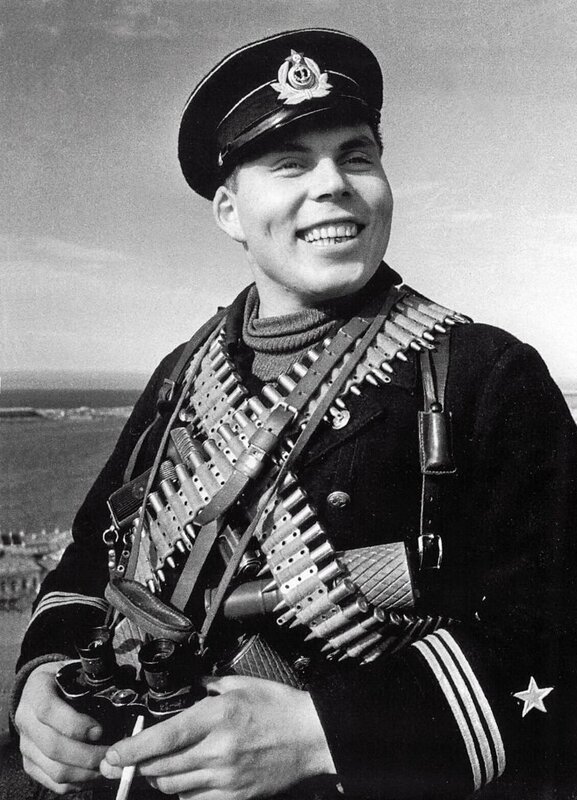 In his hands, the Marine keeps the RKKA commander’s binoculars (presumably AU 6×30) and a cigarette. In the background there is a view of the Sevastopol roadstead and the Konstantinovsky fort.